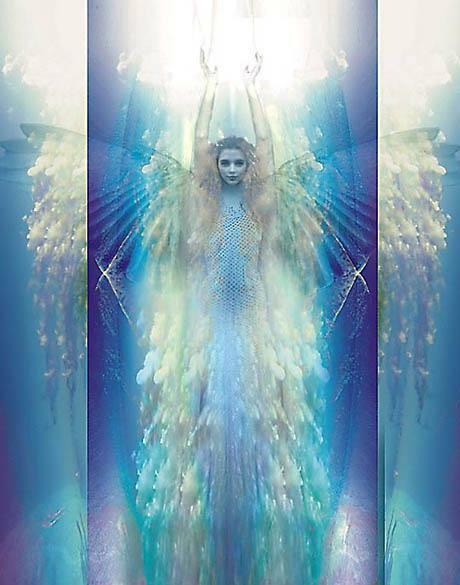 During a battle with the fallen angels and demons the Shekinah's powers went dormant and since the balance with Metatron was one sided the Shekinah left heaven mostly to protect herself since she was just a regular angel and was vulnerable. With her vulnerable, the possibility to destroy the balance of power was a threat that had to be avoided. So the Shekinah became a wandering angel on a planet that could harbor her. Until her full powers could be restored the Shekinah hid and tried to discover the reason for the imbalance. If the demons and fallen angels knew of this another battle would ensure and the assurance of heaven winning would greatly decrease. So the angels in heaven and the Shekinah must protect the secret. However since the Shekinah is made of much innocence she is soft hearted and there was a possibility a mortal would find out through her so to protect the secret her memory was distorted and changed. Slowly over time the Shekinah gained a little of her old power but she did not know where it came from and continued to live under the belief that she was a regular angel and always had the longing to raise her angel status and stand with her surrogate brother, Michael, one of the ruling princes of the Seraphim.